Our specialty designed vinyl can be customised with our embroidery service. Make your next event or office space stand out with a truly one of a kind piece of furniture. Because all pieces are made by hand we are able to embroider the front or back or your bean bag before assembling the final product. 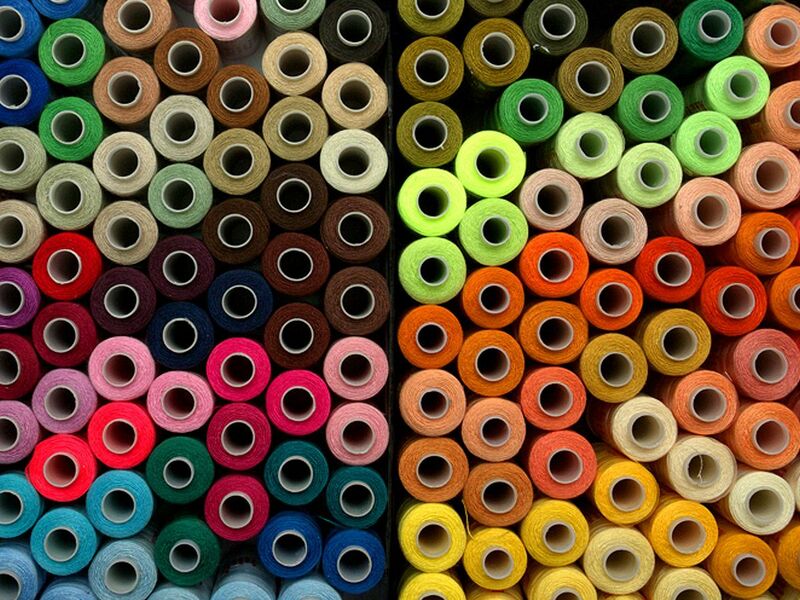 With over 600 thread colours to choose from we can match just about any logo or image you desire. We will mock up the final design in a digital image to ensure you are happy before we begin stitching. Our embroidery team has been in business for over 10 years and specialises in crafting logos for luxury car, boats and plane seats. 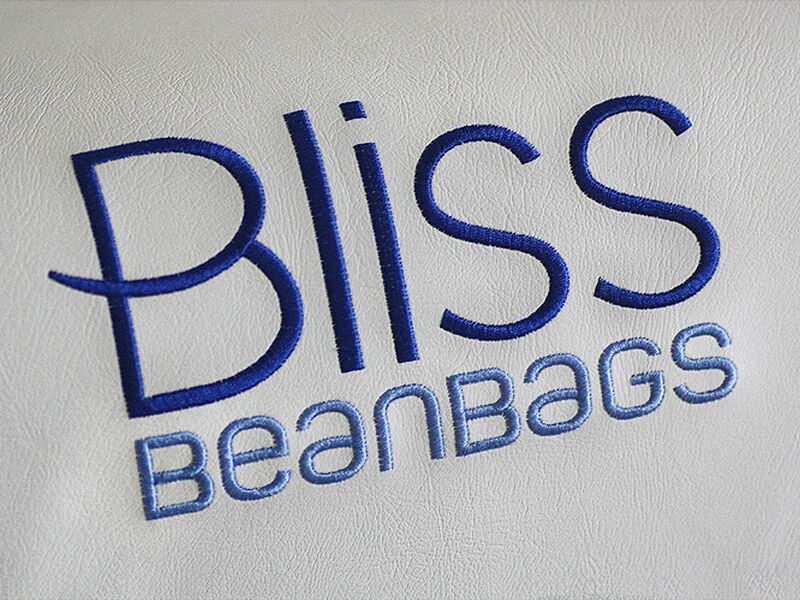 When making a statement with your brand or logo let us know where you would like it placed on the bean bag. 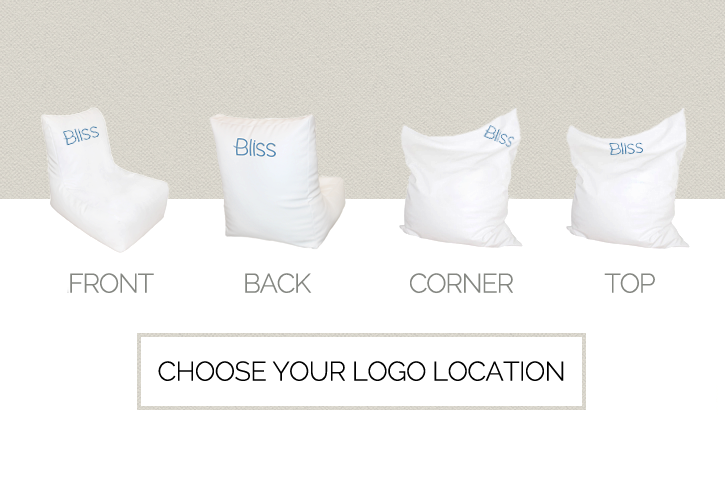 We can design a quick image to show you what the logo will look like on the front, back or corner of any of our designs. If you want to customise an outdoor setting, library or office space we can ensure you get exactly what you want. Please note our bean bags can only be branded using embroidery. 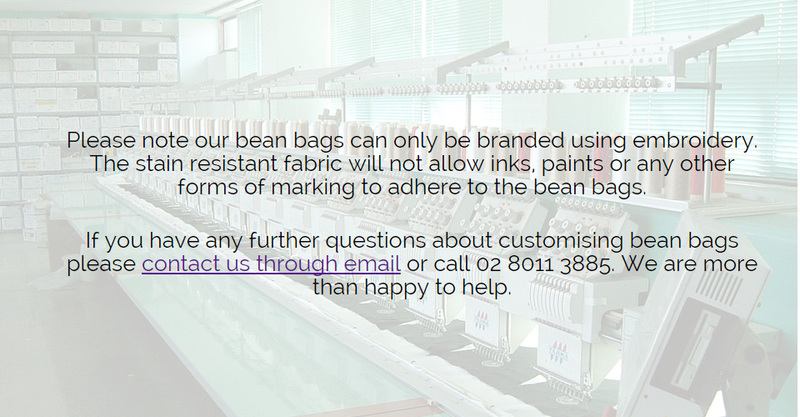 The stain resistant fabric will not allow inks, paints or any other forms of marking to adhere to the bean bags. 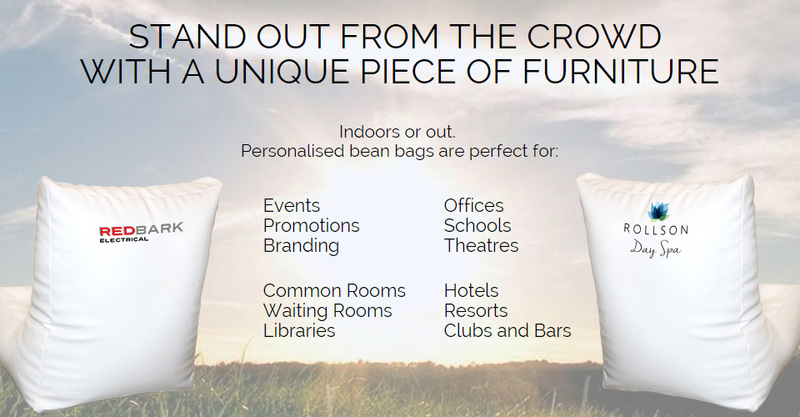 If you have any further questions about customising bean bags please contact us through email or call 02 8011 3885. We are more than happy to help.